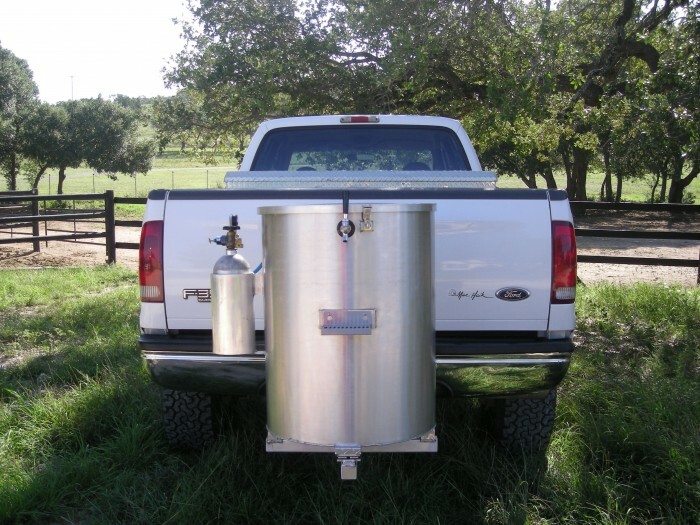 A hitch mounted self-contained keg beverage dispenser removably mounts on a conventional receiver hitch of a vehicle for transportating a beverage keg over a long distances to a site of use while maintaining the contents in a cooled condition and dispensing the contents at the site while supported on the transporting vehicle. 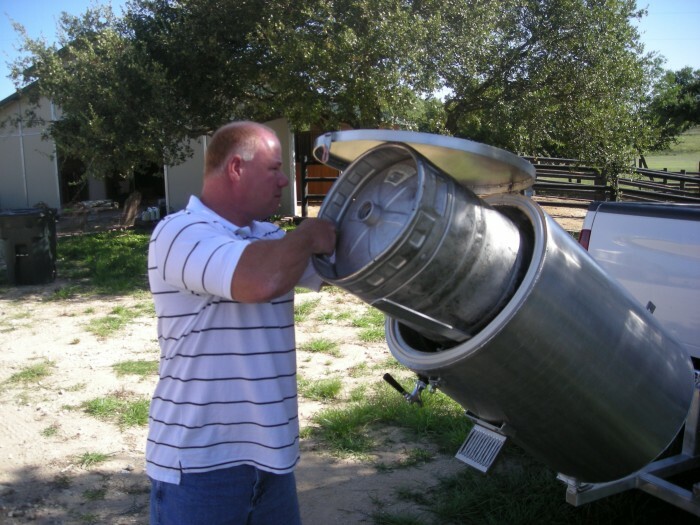 The dispenser has an insulated container that receives the keg and is mounted on a plateform received on the hitch and supported vertically proximate the vehicle bumper. The container may be secured to the platform in the vertically supported position and pivoted to an angular position to allow acces to the vehicle cargo area. 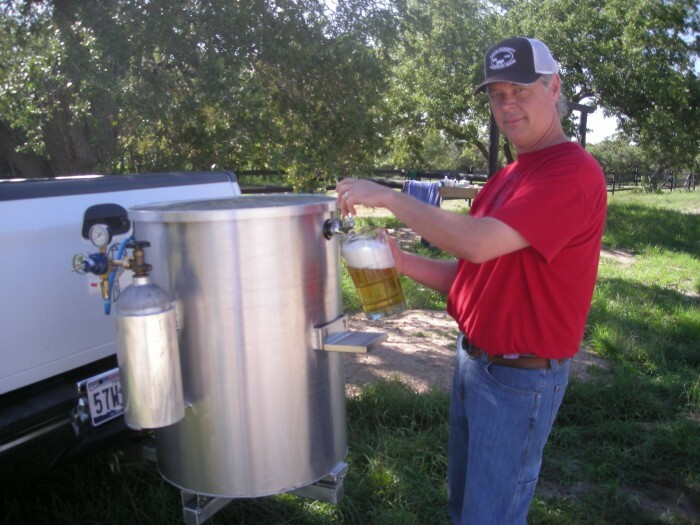 A compressed gas cylinder, a dispensing spigot and a drip tray are mounted on the container. 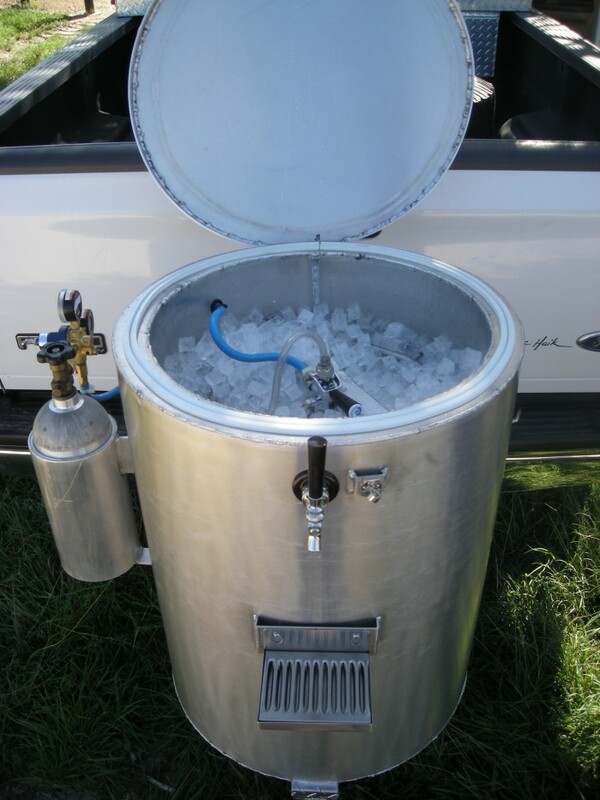 The keg inside the container is surrounded by ice and connected with the gas cylinder and spigot by hoses extending through the container side wall. 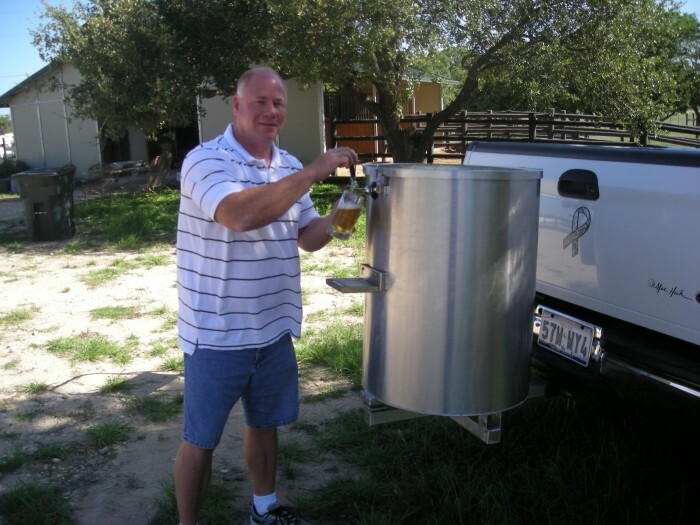 This invention relates generally to beverage coolers and dispensers and more particularly a hitch mounted keg beverage dispenser for mounting on a hitch assembly of a vehicle for transporting, cooling and dispensing the liquid contents of a pressurized keg. We have added pictures of our prototype that we made when coming up with this idea. At no means are were professional manufactures, but it gives you an idea of what it should look like. In the hands of a true professional manufacture or manufactures we invision this to be a awsome product to get out there to any professional sport related games, Parties etc, that have tailgating parties or events outside there venues. Professional logos can be also adhered to the outside of the dispenser and the list goes on. 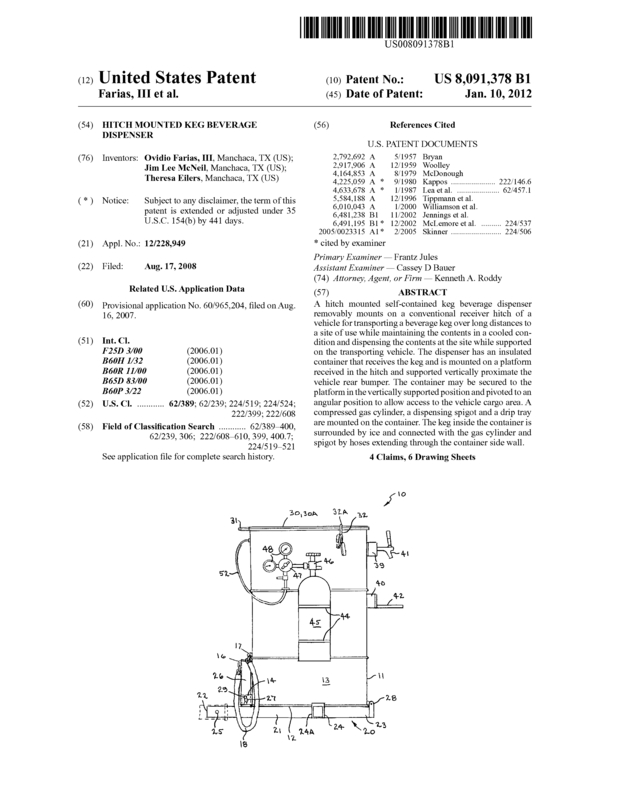 Page created at 2019-04-21 18:24:01, Patent Auction Time.